I hope you felt inspired last week and took the time to create a goal plan, to help you track your key priorities for this year. So assuming you have your plan populated with all your key goals, you are ready to start working toward the deadlines you assigned each goal, so here are some things you might need to consider. Whether your goals are professional or personal, ensure you have regular reviews and get feedback to clarify any areas of ambiguity, before the end of the year so there are no surprises at your final review. Regular one-to-one meeting on either a weekly, monthly timeframe so you can review your what’s going well or not so well, get some feedback and guidance from your manager so if there are any areas that needs addressing you have the time to do so before the end of your performance cycle year. Keep any evidence of feedback received from your customers, to share with you manager especially if they are not around when you are supporting your customers, colleagues during the year. This will give them a bird’s eye view of the value you give to others you work with internally and externally. Define required resources, stakeholders to influence, cost, location, schedules, impact on others in your team, boundaries and shared goals. Without communicating and agreeing the logistics it could send the wrong message to your colleagues. Think about how it you will fit this around your other personal commitment and responsibilities, and the impact it will have on those closest to you. Household chores, school activities, job activities, family time, costs, pets, holidays and appointments. 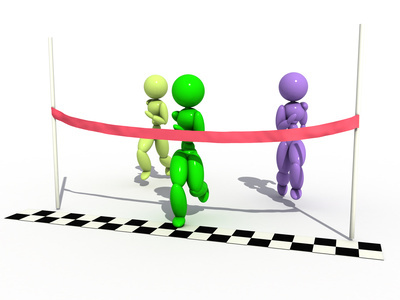 Communication is one of the main key to achieving your goal, and getting to the finishing line on time.